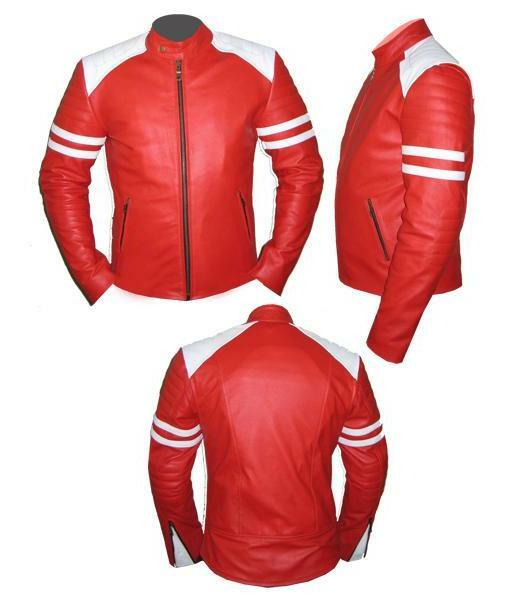 Mayhem Fight club leather jacket red popular classic leather The unofficial Replica Fight Club Red Leather Jacket,It is a stylish high quality movie jacket. 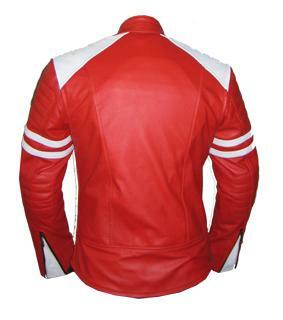 Inspired replica of the famous red jacket worn by Brad Pitt,as Tyler Durden in the movie FIGHT CLUB. 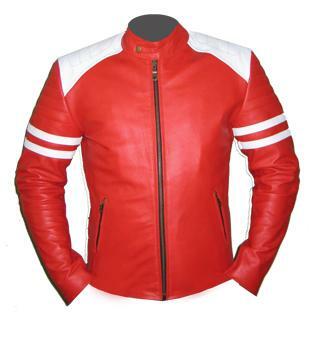 We have made the jacket as closely to original.We make sure every part matches the original from the colour to stitching & leather quality softness. 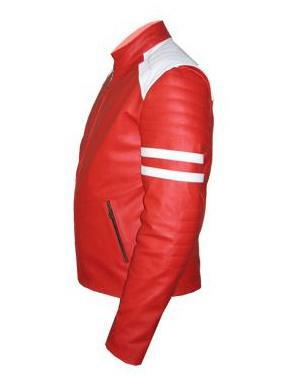 The jacket made with High quality leather & deep red lining inside.